Anyway, since I was there I thought I'd mosey on across the road and take a few shots of Seal Harbor while I was at it. (By the way, Martha Stewart lives around these parts, for those who might be interested.) 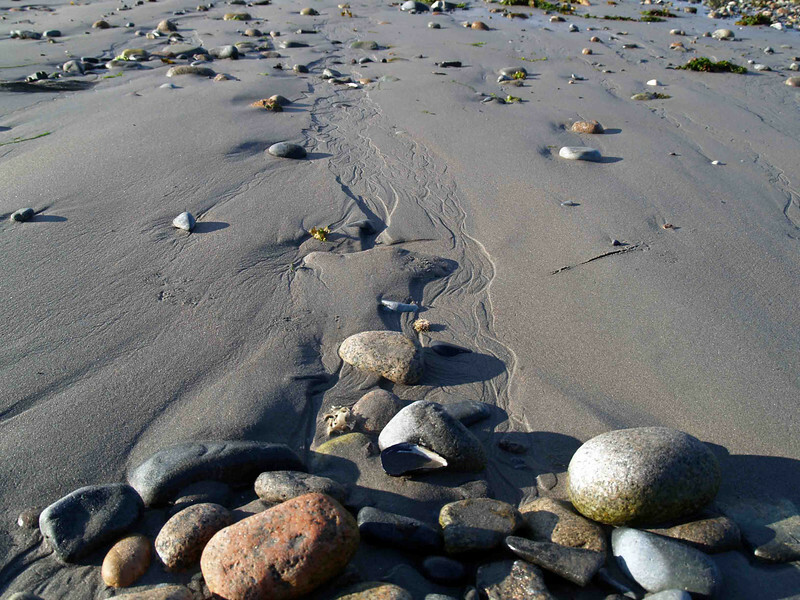 I've always been intrigued by the beach, especially at ebbing tide when things are revealed. As always, I find myself fascinated with the rivulet patterns caused by the outgoing water left in the sand. The addition of the rocks is an added bonus.